Oh yes, we have LOTS of spaghetti squash here thanks to Aldi. The stock up store. And their 69 cents squash sale! But back to the squash. 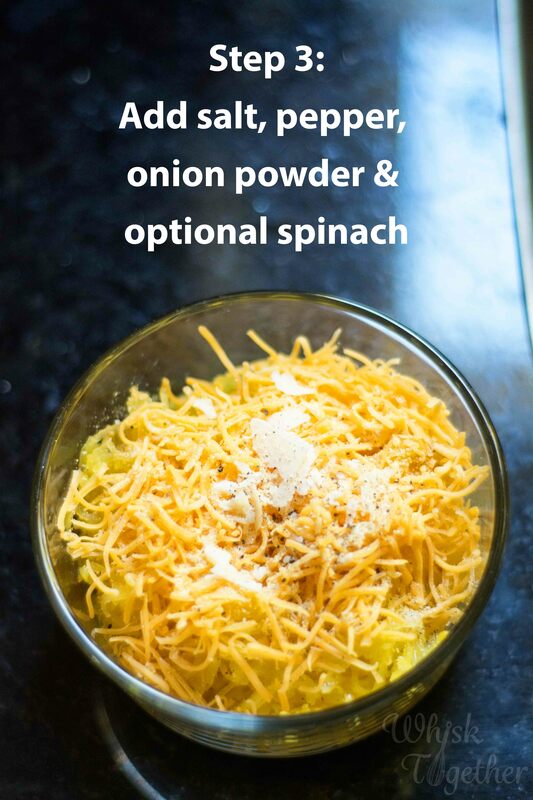 This recipe is based on one of my favorite recipes: Cheesy Spaghetti Squash and Spinach. 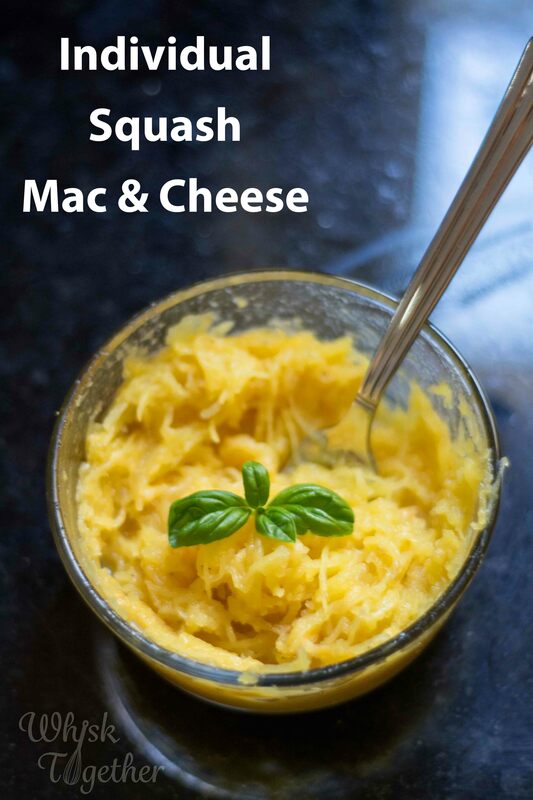 On meal prep day, I will roast some items for lunches and include a few spaghetti squash. I don’t recommend freezing this dish. Squash just doesn’t usually freeze well and becomes very mushy. To pack this in your lunchbox, just layer everything in a sealed microwave safe bowl. Then, at work you can just pop it into the microwave and stir! Hot lunch that tastes as good as mac and cheese without all the calories. The last post is how to roast all the squash on sale at Aldi. 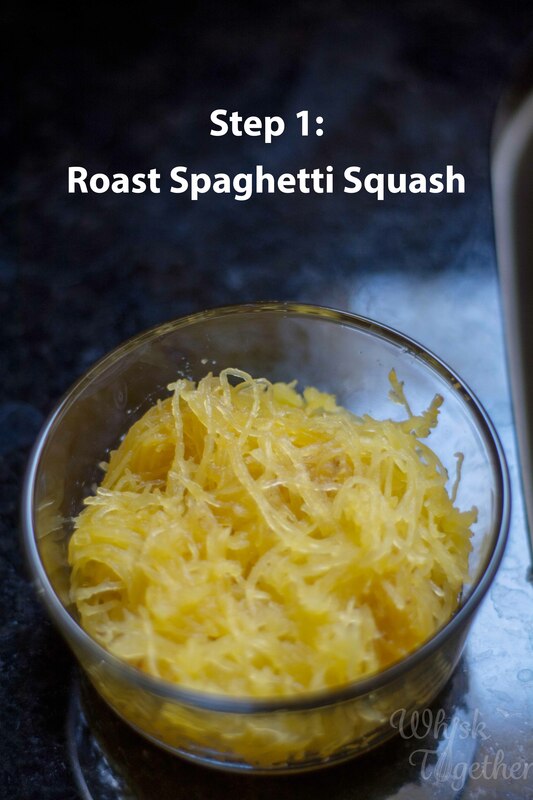 But here is a refresher for spaghetti squash. Cut it in half lengthwise. Scoop out the seeds. Spray the inside with a little olive oil. Place cut side DOWN on a rimmed cookie sheet that has been sprayed with olive oil. Bake 375 degrees for 40 minutes. Or bake at 350 degrees for about an hour. Or bake 400 degrees for 30 minutes. It is soooo easy! You can’t mess it up. Then let it cool a little bit and drag your fork inside to get the “spaghetti”! I would not recommend freezing the cooked spaghetti squash. The trick for scooping seeds out of the squash is… wait for it…. a grapefruit spoon! Yes we love grapefruit spoons because they are NOT uni-taskers. Instead, grapefruit spoons are perfect for using their serrated edges to scoop out the fibers and seeds inside your squash. 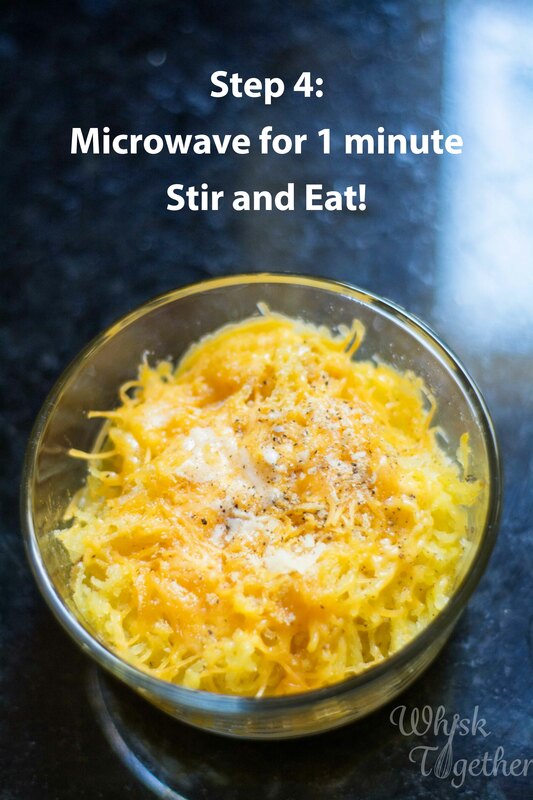 In a microwave safe bowl, add the spaghetti squash. Pour in a splash of milk (about a tablespoon). Sprinkle salt, pepper and onion powder. Microwave covered and on high for 30 seconds. Stir. Microwave for another 30 seconds if cheese needs to melt more. Mac and Cheese is ready once cheese is melted and the squash is hot. 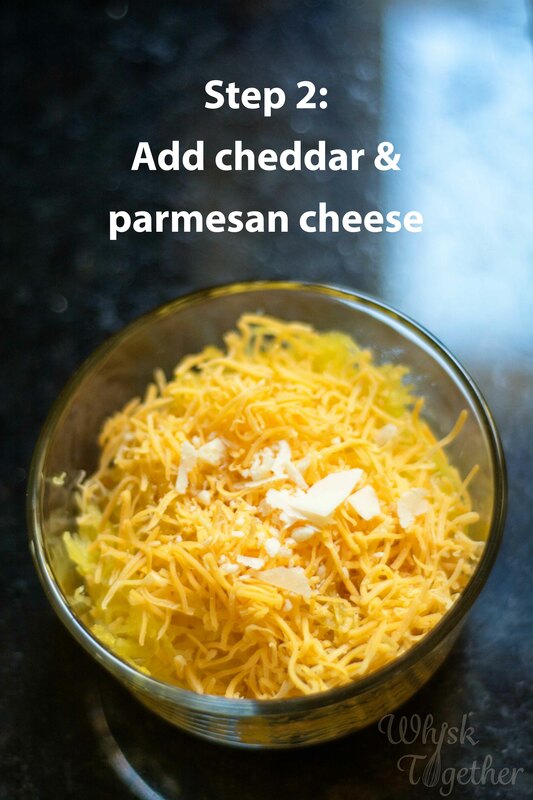 Top with more Parmesan cheese if you like.